Having been to half a dozen European capitals, Ellyn and I decided it was time to visit our own! We departed mid-day from LAX. Car, Plane, Bus, Metro, There! We stayed at a condo right at the Ballston Metro Station. We got settled in at about 10pm, east coast time. Walked to the Vietnam Memorial, which Ellyn found very moving. I certainly appreciated it – we both think it is very well done. The Lincoln Memorial was pretty great. Ellyn found it much more moving than she thought she would – and so did I. The FDR Memorial was nice and outdoorsy. We didn’t really plan on visiting it, but we’re really glad we happened through. It was a really nice break from the other monuments – it felt a lot less formal. The Jefferson Memorial is big and impressive. He was an impressive guy. The White House. We’ve all seen pictures. Now we’ve seen pictures with Kurt & Ellyn! We stopped by the National Museum of Natural History just briefly. It wasn’t so much our thing – if you have kids, you have to go. If not – eh. And finally we visited the Corcoran Gallery of Art. 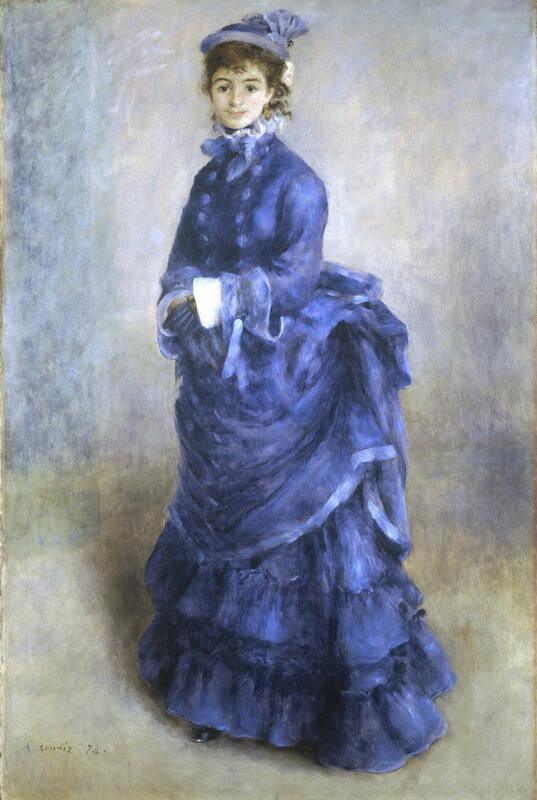 I suppose my favorite was Renoir’s "The Blue Lady". I also like the portrait of George Washington. Union Station was not as interesting as we’d hoped. Kind of like a mall attached to a train station. It’s a nice mall, but still. The Capitol is very impressive. As an American, it is somewhat disappointing to me that I have better access to the Bundestag than our capital, but I guess that’s largely an advantage granted by late 20th century architecture. In the evening we left to Drive to Pittsburg. Of course that’s when it started to snow. Saturday: Visit with Mike, Angela, Katie, and Sophie! Mike and Angela live on Squirrel Hill. We visited with them for the day and went to the Phipps Conservatory and Botanical Gardens. The host was very excited about the bird of paradise that was blooming. When we landed at LAX, there were basically fields of ’em. We thought that was funny. In the evening we drove back to DC. National Gallery of Art. I was really taken with some of Toulouse-Lautrec’s oil on cardboard paintings. The National Air and Space Museum was way cooler than I imagined it would be. 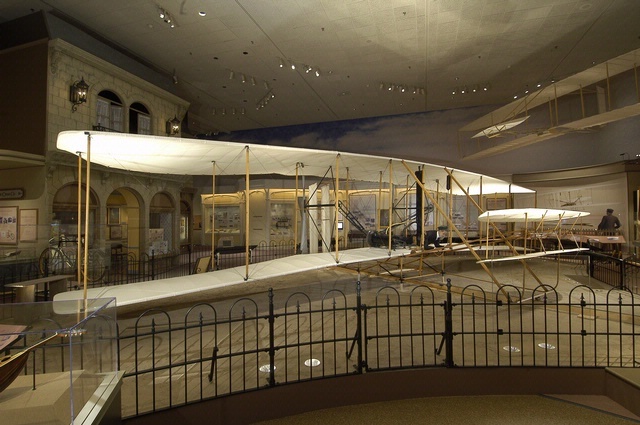 I especially enjoyed the Wright Flyer and history. 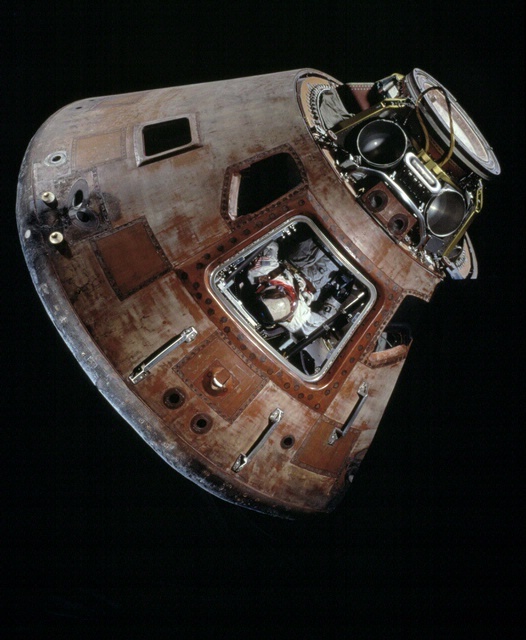 Seeing the Gemini IV and Apollo 11 Command Module in person gives you a real appreciation for why they were called ‘tin cans’. Not a whole lot of elbow room. Started off at the National Archives Building, where we saw the original copies of the Declaration of Independence, the Constitution, and the Bill of Rights. Also on display was a 13th century copy of the Magna Carta. After that was a visit to the Supreme Court, where we got to sit in on them talking about Enron! The question at hand seem to be the services fraud charge and jury selection for the case. We heard from about page 50 of http://www.supremecourtus.gov/oral_arguments/argument_transcripts/08-1394.pdf. Then we headed over to the National Gallery of Art (East Building), which was just about to close for the day. On our last day, we decided to visit some of the museums we had not yet visited, or had just visited briefly. Ellyn really enjoyed the Hirshhorn Museum and Sculpture Garden. We returned to the National Gallery of Art (East Building), where I mostly sat and admired Monet’s Woman with a parasol and Garden At Vetheuil. Wednesday: Metro, Bus, Plane, Drive drive drive, Home!